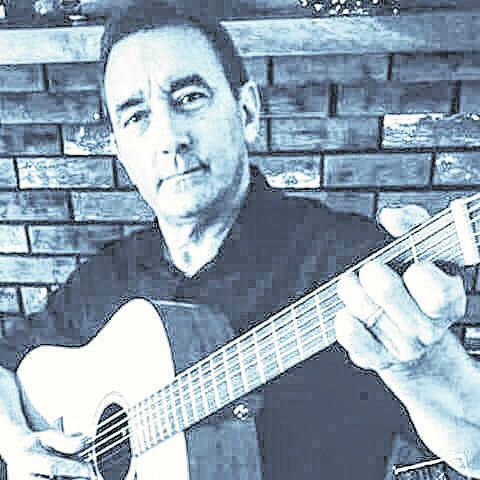 GALLIPOLIS — This week, featured in the Pavilion at the French Art Colony, for the Hot Summer Nights musical series, will be Brent Patterson, a well-known singer and guitarist from Pomeroy. He performs folk-rock, Americana and acoustic roots music. Raised in Meigs County, he followed the leanings of his musical family and began performing in public at the age of 14. His early music was strongly influenced by the tight harmonies and strong melodies of the traditional Appalachian and country music around him. A seven-year stint in New York City, after college, exposed him to a wide array of musical and performance styles and broadened his repertoire by adding Celtic and contemporary folk songs in the mix. Featuring a diverse repertoire, his live acoustic shows are a mixture of favorites, drawn from the deep catalogues of songwriters, such as John Prine, Neil Young, James Taylor and contemporary favorites, such as Josh Ritter. He has performed at a number of events and venues in Ohio and beyond, including Paddy Reilly’s Pub in New York City, the Shamrock Club in Columbus, Merry Ploughboy in Buffalo, New York and Pier 35 Restaurant in Dublin, Ireland. Regionally, he plays at a variety of restaurants, clubs, wineries, breweries, festivals and private events. As he says, “It’s important to me that my shows are unique, enjoyable and accessible events for everyone who attends. Music is a mutual transfer of energy and I try to give back a lot to my audience”. He added, “I urge everyone to support live, local music, whenever they have the chance. We’re blessed to live in an area, rich in musical talent, and I look forward to joining the roster of excellent local musicians, who’ve performed as part of the Hot Summer Nights series”. Gates will open Thursday evening at the Pavilion, on the grounds at the French Art Colony, at 6 p.m., with food available for a donation and legal beverages for purchase. The music will begin at 6:30 p.m.. Also available for sale are tickets to win a stay at a beachfront Garden City condo. Tickets are $5 each, or three for $10. A winner will be drawn on the final night of Hot Summer Nights, on Aug. 30. In addition, original “Hot Summer Nights” tee shirts may be purchased. All proceeds from both sales will be used to buy fans for the Pavilion, to make it more comfortable, during the hot summer months. Admission is $5 per person and is free for FAC members, as a benefit. For a full schedule of the upcoming live music performances in the Pavilion, each Thursday evening through August, or for any additional information, call the French Art Colony at 740-446-3834.